Crystal's Random Thoughts: Legacy of Blood Book Tour, Review and Giveaway. 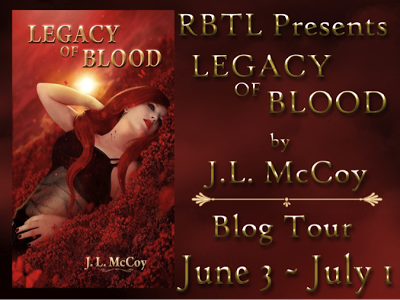 Legacy of Blood Book Tour, Review and Giveaway. Synopsis: "Skye Morrison begged for death. Fortunately, someone didn't listen. Book Excerpt: I fished through his closet and came upon one of Jameson’s vintage Rolling Stones concert t- shirts. I thought about the messages he had left me and quickly put the painful memory aside. I was sick of hurting; sick of the drama, sick of disappointing people, sick of being judged because I wasn’t perfect like everyone wanted me to be. I just wanted to forget everything, for one night. For one night I just wanted to be Skye Morrison, the person; not Skye Morrison the human or Skye Morrison the vampire... just me... fatally flawed me. I selected a white button down dress shirt, threw it on and dropped the towel as I lowered it down my hips. “Can you give me a hand?” I asked, turning to Archer and holding up one floppy sleeve. Archer smiled as he unbuttoned the cuff and started rolling each sleeve up. When he was done I sat down on the end of the bed and silently waited for him to get undressed. I shamelessly watched as he removed each article of clothing; his sculpted body demanding my utmost attention. Oh. My. Yum... I stared at the way his muscles shifted and moved as he did; his strong, fit form a veritable work of art. He’s perfection incarnate; God’s magnum opus. Lord, he’s beautiful. What I wouldn’t give to lick those abs... God definitely knew what he was doing when he created Archer Rhys. And God said ‘Let there be Archer Rhys’, and there was and He saw that it was GOOD! I giggled aloud at the thought at the same time Archer laughed. “Reading my mind again, Mr. Rhys?” I asked, biting the corner of my bottom lip. “Kind of hard not to, Miss Morrison,” he replied sexily as he turned to me wearing only his white boxers and a cocky smirk. I really enjoyed this Legacy and Blood and I was fortunate to have a chance to read the whole series which at this point is going to end up on my all time favorite vamp list. Lets see where to begin…… There is a lot going on in this story. Skye awakens to find that she is now a vampire, changed by no other than Amun who want her to himself and he is prepared to do anything to make her his. But what he failed to release that Skye has her own agenda and her future is not with him. I completely loved the fact that she is putting up a fight to set her own path. Being an vampire isn't easy for Skye because there are some challenges. If she had to chose this wouldn't be the chose she would have made herself but her courage to insure and press on made me respect Skye so much. She was strong and courages and it took a lot of guts to take on the things she did in this story, which was completely amazing to me. Skye life was hard but that is what lead this amazing story. Its hard to be what everyone else wants you to be, or be the brunt of disappointed when you fail to live of to other expectations especially when all you desire is to be yourself. That is why I could connect with Skye. The action pored in this storyline kept me gripping the kindle tightly and the romance in the book was smoldering hot. When you finally get to the build up the author aims to please and your left panting like you rant a marathon race. Archer was completely hot with a capital H. I love me some Archer, everything about his character just makes you get all goose bumpy really. Because that vampire is completely hot go back and check out the excerpt to check out his hotness.Hot to the third power, and yes I am using some serious mathematics here. LOL. Oh and did I mention that he is a vampire. Right I did. Ok lets continue…. It was easy to build a connection to the characters and the story. Once you begin to read your so focused on the story time seems to speed past you and before you know it you are completely done with the book and at that point the anticipation sets in for the next book in the series because the author leaves you dangle there wanting and yearning to read more. I loved this story, the characters and the plot so much that I am looking forward to book 5 in the series. I rated this book 5 out of 5 Purple Rant Hearts and would recommend this book to vampire lovers everywhere. Cover Reveal: Heavenly Hell Book #2 and Giveaway! Awakening #2 Book Tour, Review and Giveaway! 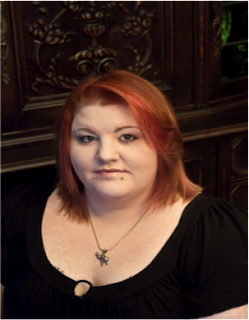 Promo Bliz: Say When by Tara West !